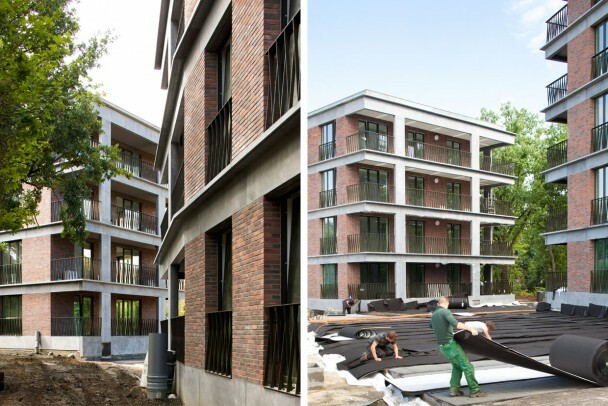 In autumn 2013 we won a competition for a residential project in the centre of Mortsel. The project makes the transition between a large public square and a historic military fortress. It consists of 3 buildings, varying in scale and forming – depending on one’s point of view - a clear edge for the square as well as a porous ensemble that opens up the view towards the natural landscape of the military infrastructure. The construction now reaches its final stage. All buildings are due to be delivered in autumn 2017.